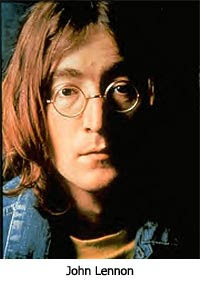 In 2004, Rolling Stone magazine voted John Lennon's song, "Imagine", the third greatest song of all times. Former president Jimmy Carter observed that "in many countries around the world... you hear John Lennon's song, 'Imagine,' used almost equally with national anthems." In the book, Lennon in America, by Geoffrey Giuliano, Lennon is quoted as saying that the song is "an anti-religious, anti-nationalist, anti-conventional, anti-capitalist song, but because it's sugar-coated, it's accepted." Lennon also described the song as "virtually the Communist Manifesto." Lennon's characterization of the song is very accurate. It begins with an atheistic rejection of God: "Imagine there's no heaven / It's easy if you try / No hell below us / Above us only sky / Imagine all the people / Living for today." Having dispensed with God, Lennon then proceeds to wash his hands of religion and nationalism: "Imagine there's no countries / It isn't hard to do / Nothing to kill or die for / And no religion too / Imagine all the people / Living life in peace." Lennon concludes the song with an attack on capitalism and an affirmation of the socialist-communist ideal: "Imagine no possessions / I wonder if you can / No need for greed or hunger / a brotherhood of man / Imagine all the people / Sharing all the world." Understandably, the chorus of the song calls for a one world government: "You may say I'm a dreamer / But I'm not the only one / I hope someday you'll join us / And the world will live as one." This is ex-Beatle, John Lennon. I've been wanting to write you, but I guess I didn't really want to face reality. I never do this, this is why I take drugs. Reality frightens me and paranoids me. True, I have a lot of money... but basically, I'm afraid to face the problems of life. Let me begin to say, I regret that I said the Beatles were more popular than Jesus. I don't even like myself anymore — guilt." Lennon proceeded to tell Roberts his life story. He emphasized his unhappy childhood. He told about his mom dying when he was an infant and how his father deserted him at age 3, leaving him to be raised by an aunt. He talked about how he wanted to kill his father after he became successful and his dad came to him and requested money. He mentioned a song that he and Paul McCartney had written called, "Money Can't Buy Me Love," and he said he had discovered the truth of that statement. "I want happiness. I don't want to keep up with drugs... Explain to me what Christianity can do for me. Is it phoney? Can He love me? I want out of Hell." "I am, I hate to say, under the influence of pills now. I can't stop. I only wish I could thank you for caring." Lennon had already expressed his despair publicly in 1968 in his song, "I'm So Tired." It was written at the height of the Beatles' popularity, creativity and wealth. In the song, Lennon expressed the emptiness of his "successful" and wealthy life with these words: "I'd give you everything I've got for a little peace of mind." Creation could not be by chance. Life is sacred, and so, you couldn't be more wrong. Love isn't all you need. Man is not the measure of all things. Marx and Lennon were greatly mistaken. Your "Brotherhood of Man" is really slavery. 6) Be anxious about nothing, but in everything by prayer and supplication with thanksgiving let your requests be made known to God. 7) And the peace of God, which surpasses all comprehension, shall guard your hearts and your minds in Christ Jesus. For the complete text of John Lennon's letter to Oral Roberts, see Oral Roberts: An American Life by David Edwin Harrell, Jr. (Bloomington, IN: Indiana U. Press, 1985), page 310. Since this article is on a lost celebrity it gives the opportunity to comment on another one...Michael Jackson. Is everyone else as disgusted as I am over so many people practically worshipping this evil monster? As the Bible says in these end times, evil will be called good and good will be called evil. I guess I see things a little differently than you do, Billy. I saw MJ as a lost soul, desperately in need of Jesus. I prayed for his salvation many times (and, no, I'm definitely NOT one of his fans). But speaking of his fans, I feel great sadness for them, too. They need Jesus, not Michael, to fill the emptiness in their lives. I pray for them--that they will find the only real Truth, real Love, and real Relationship that can make them complete. Overall, it doesn't disgust me, it makes me want to cry. People are so lost, and lost people will act like, well, LOST PEOPLE! They are trying everything and anything to fill the void in their lives. And how can I get angry about that? I pray now and then for Lindsey Lohan. So much talent as a kid and now she continues to go deeper and deeper into wild partying, drugs, lesbianism and now theft. Her eyes look hollow and possessed. I always turn the station when I hear "Imagine", I just feel a spirit attached to that song, an empty spirit. I think John Lennon was creative, but certainly a man in pain. I agree with Laura regarding the condition of lost souls. Love is the answer, God's incredible love and grace. I would like to leave my voice on this. MJ was a hurting person, who was trying to find peace. Look at his appearance, he was wanting to be a white boy. He did everything he could to rebel against his father. He was beaten and pushed beyond limits. Yes he was a hurting man. I see some interesting patterns and cannot help but wonder if these are also signs of the end. Not only are multitudes around the world practically worshipping Michael Jackson, but they also worship the many other celebrities (and not just those in entertainment; can anyone say "Obama"?). The media encourages this, and they are supposed to be "hounds of the truth in the public interest." Nevermind about North Korea firing missles into the Sea of Japan in defiance of the UN, our country meddling in Nicaragua while not meddling in Iran, etc... Nevermind those gloomy issues, because we want to make sure that you get every tidbit about Michael Jackson's life from 23 different perspectives! I cannot help but wonder if this social shallowness and its engineering on the part of media and government is merely a sign of the end times or is a necessary support condition. I wondered why the multitudes of the world would even allow the Antichrist to live, let alone have global political power. After all, Revelation clearly describes the existence and context of the Antichrist. I wonder no longer. If multitudes saw a mugshot of the Antichrist, his name, and his address, they might very well shrug and go back to watching the 24-7 Celebrity News coverage. After all, they just "want to have fun" and "don't want to think." 2nd Timothy 3:1-4 comes to mind, especially "not lovers of good" and "lovers of pleasure rather than lovers of God." For all that I hear that "the Bible is not relevant because this is a modern society with modern mores," I cannot help but see the irony. This social shallowness is exactly what entire sections of the Bible warned against. Over the years I've discovered something: celebrities very seldom die a natural death. Jimi Hendrix, drugs; Jim Morrison, drugs; John Bonham, drugs and alcohol; Janis Joplin, drugs; John Belushi, drugs and alcohol; Michael Jackson, drugs. I could go on, but I won't. I often thought about why. Why would someone who has everything anyone could possibly want die such useless deaths? Then I realized that it's because they have nothing. Their lives are empty and shallow. As a former drug user...strike that. As someone who formerly let drugs use him, I understand all to well the empty feelings that drive people to live that life-style. I went to church and believed in God or a god, but I didn't know Him. The drugs and alcohol made it possible for me to function, but my morals were so screwed up. The drugs make you feel empty, so you take more so you don't feel, well, anything. Led Zeppelin had a song called "Houses of the Holy" and it was about movie stars and our worship of them. We worship these celebrities and I'll bet it's a lot of pressure to be god. So, naturally, these people they turn to these tragic lives to escape the pressure and stress of our constant worship. We hang on their every word about, well, anything. They tell us what to drink and we do it. They tell us what to wear and we do it. They tell us what to believe and we believe it. They tell us who to vote for and we do it. I'm sorry Michael Jackson's gone. And I hope and pray that his worshippers find the Lord. But, I'm also tired of turning on the TV and hearing about the world's "loss" every five minutes. I wonder if celebrity worship qualifies as idolatry. Or is it merely foolishness? Exodus 20:3 - You shall have no other gods before or besides Me. - Amplified Bible. So, Anon, the answer is "Yes" to both. Wow - John Lennon hit it on the head - so many "celebrities" are empty, searching souls who wear nice masks. And I personally believe they were in such a state before their "stardom" caught up with them......I think they have chosen that artistic life because of their emptyness. That envelope pushing life and lifestyle allows them to live in rebellion of God and to cicumvent reality while having an appearance of respectability (a whole industry records and hangs onto their every move and word). I find it interesting that musicians and artists of earlier eras produced more beautiful and meaningful art because they were seeking to honor God with their talent...think Michealangelo (? sp), Beethoven, Bach etc. Our modern artistic and so called entertainment endeavors seem to get more and more crass, vulgar and appeal to our basest nature - sin. I doubt if God were to tarry another 300 years that our modern art would still awe the masses of future generations as do the aforementioned artists and muscicians. Son of thunder, Laura - I am in agreement with both of your statements. I know Jesus died for Michael and all those other "super-stars" and we are to feel compassion for their lostness. We are to pray for them. But I too am sick and tired of the hero worship that is attached to a segment of our society that lives the most unheroic, shallow lives. We should pray for them if they come to mind but I also think we need to temper how much we let this godless entertainment influence us and maybe at some point we just need to shed our need for it altogether lest we become as they. I remember a couple of years ago Barna did a study and found that even Christians were more likely to reject Godly worldviews and would actually adopt un-Godly worldviews as they watch and listen to more and more of what passes for entertainment today. It is a great falling away as we as a society care more about entertaining ourselves with Godless trash in the guise of art and music. I guess I can still feel compassion for these people because I DON'T watch TV or listen to secular music. I'm not saying everyone should do this; it's just where I'm at in my walk. Every now and then my husband and I watch a movie, but for the most part, we stay away from the media. There's so many other things to do in life rather than live vicariously through someone else. People say to me: You don't have a TV? No, no thanks! I'd rather LIVE life than watch someone else live it. So, yeah, people worshiping people is prevalent--it saddens me, and I feel a need to pray for them. However, I definitely don't feel a need to join them in the pig sty and wallow in the mud. Laura, unfortunately I own a TV, but many times I am tempted to chuck it in the landfill and consider the loss of that cash an object lesson in stupidity. Considering Barna's research perhaps all who claim the name of Christ should be a lot more discerning in what goes into our minds. Our family only has an antannae for television reception - I just can't see paying $25.oo a month (or more???) for time wasting, brain numbing, basically trash tv. I am personally dismayed at what some Christian parents allow their children to do in terms of entertainment - it's their call and they have that freedom but we are talking about a battle for our childrens minds and souls. But did you notice John said he knew of Christ and His claims for salvation ("what can Christianity do for me...I want out of hell")? He must have had some knowledge bu at some point I guess he gave a final no to Christ's invitation. These so called superstars need much prayer. I was just wondering if anyone knew if Rev. Roberts had answered John Lennon either by letter or in person. And what Roberts felt the outcome was. I'm with Carmela. What happened? Did Oral Roberts respond? Was there any outcome? I'm sort of astonished at a few of the harsh responses. I've been guilty, too, of looking down at anti-Christian people in the spotlight but get an awakening when I hear of the personal turmoil some have been through. This is a reminder, as a Christian to love unconditionally and to love my neighbor as myself. Christians are so offended and persecuted by the world these days, we are beginning to get "an attitude". We need to watch it! Hope there is a follow-up to this story. Judy, you make an excellent point, we should be careful to not get an "attitude" as you put it towards unbelievers. They are Lost in the truest sense and we cannot hold them to the same standards as Christians because they are not bound to God's worldview and its outworking in lives...eg the fruits of the Spirit. From this standpoint we should absolutely love them "unconditionally" and have a deep compassion for them that they come to know Christ as personal Savior and Lord. Then they will be Found and there they will find the answers and hope they are looking for in destructive lifestyles and pursuits. But as for the other blogging points that may have strayed from the articles intent, I hope I am not harsh or un-Christian when I submit that the unconditional love should not apply accross the board to all aspects of their lives. By that I mean I cannot simply accept the behaviors that unbelievers exhibit and turn the other cheek as if such actions have no consequences or bearings on themselves and our society. There are times when they do cross a line and as believers we should be unashamed to speak up for what is right in God's sight and condem their actions - of course, we need to speak so that we condem the sin not the sinner. If we do not we are as good as condoning their behaviors and that is destructive to them as individuals because they may never get to hear the Truth of Christ. And it is destructive to society because we are only as strong as our weakest link. I am reminded of the times when God called Israel to purge the sin from their midst lest the whole nation perish. And I think of the fella after Jericho that directly disobeyed God and that ONE mans actions cost ALL of Israel dearly at the battle of Ai. We are not Israel but I think the principle applies to all generations and nations. That was my point here on this blog. As for the article it does remind us that people are hurting and need our compassion and prayers if God lays them on your heart. I do pray for the lost and I do reach out in tangible ways, but on the flip side I will also be careful what me, my wife and children allow into our home and into our hearts and minds. As I said earlier there is a battle for souls out there and time is getting shorter in my opinion. What if, MJ is NOT dead?? Think about this for a sec.....what is, or was, going to be the name of his world tour?? The "COME BACK" tour. The casket, that supposedly, was holding his body at the big ceremony at the Staples Center, is made of GOLD! And now, according to the news, no one knows where his body is. Wouldn't it be a real hoot if......the casket showed up on stage at what was going to be his first performance (that might be turned into another memorial service).....and then he popped up out of it....alive and well, and did that first performance! Yeah, I know, crazy theory huh? (my friends tell me I need to publish some of my "theories" LOL) But, MJ has done some crazy things before. I mean, his adoring fans, that are soooo grief stricken right now, would be ecstatic!!! Actually, Junbuggg, twisted minds must think alike. I subscribe somewhat to the faked death theory. I never took it as far as you, but.... I just figured he did this to sell every CD on the shelf. I try to avoid watching very much TV. Aside from watching racing and some baseball, most of my TV time is watching shows like "Creation in the 21st Century" and "Christ in Prophecy". It does facinate me, though, how we as a society can be so enthralled with celebrities. I don't understand it. I almost wish I could. To me, they are nothing but people who do a specific job. They are virtually no different than anyone else. And as I sit here typing, I still hear the TV in the other room telling me about MJ. And I remind myself that without Messiah I am just as lost as they are. Humanly speaking, I am no better. I am a sinner saved by grace, but I'm still a sinner. Without Messiah, my god could be some foul-mouthed "entertainer" who wouldn't know morality from a pile manure. I think it's sad that peoples lives are so empty and hollow that they follow anything or anyone that gives them hope and a smile; that breaks through the so-called hopelessness of life. But, I can see why. We let the athiest factories we send our children to every fall tell them about evolution which preaches that life is empty and without meaning. But that instinct, that craving for God, is still there and instead of focusing it on our Creator we look elsewhere. I didn't watch all of MJ's servie, I couldn't stomach it. What really bothered me was there was at least two men that uses "Rev" before their names and as best as I could tell, neither one took the opportunity to give the Gospel out over such a world wide audience. How tragic. Please correct me if I'm wrong. to Junbugg: You are not crazy! It would be just like him to stage all of this and it will be something to see! Think, forerunner of the antichrist...MJ is not him but a glimpse into what he will be like when his body comes back to life and the people go wild! Man-o-man are we living in exciting days! The book on Oral Roberts life goes on to say that Rev. Roberts wrote back with the message of salvation and gave an invitation to Lennon to come to a seminar, but that was the last they communicated. Hey, Junbuggg, as a Tony Stewart fan I loved it! And as I consider Kyle Busch to be the "anti-NASCAR" it didn't break my heart to see him wreck. I'm glad he's all right though. I may not care for his attitude, but he is still one of God's lost sheep and I don't want to see anyone get hurt. And I really hope that John Lennon came to his senses and came to the Lord. I don't remember who said it, but someone once said something like this: You might be surprised by who is in heaven, and by who isn't. Hope something came of it. Isn't it sad for those who were given so much talent to one day stand before God Almighty and answer for the way in which they used what was given to them for their pleasure, fame and fortune. How very sad. It should behoove those of us who name the name of Christ to be careful of how we live and use what we have been given for we, too will one day give an account to our Savior. A new book by Joseph Niezgoda, "The Lennon Prophecy" (New Chapter Press, 2008), confirms that John Lennon was desperately unhappy. Niezgoda also claims that John Lennon made a pact with the Devil for fame, fortune, and success. Great overnight success by the Beatles followed. John Lennon's mother didn't die when he was an infant. In fact, she deserted him as well when he was young. They reunited and rebuilt their past when John was a teenager. This makes me question the validity of this article.